Here is an alteration of the original Silky Black Camisole. 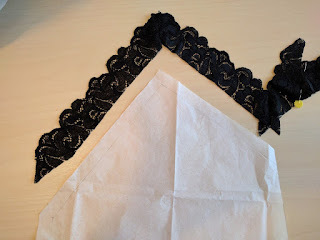 Lace border was added and the back is flat without the V plunge (Image 1). This was simple to do. 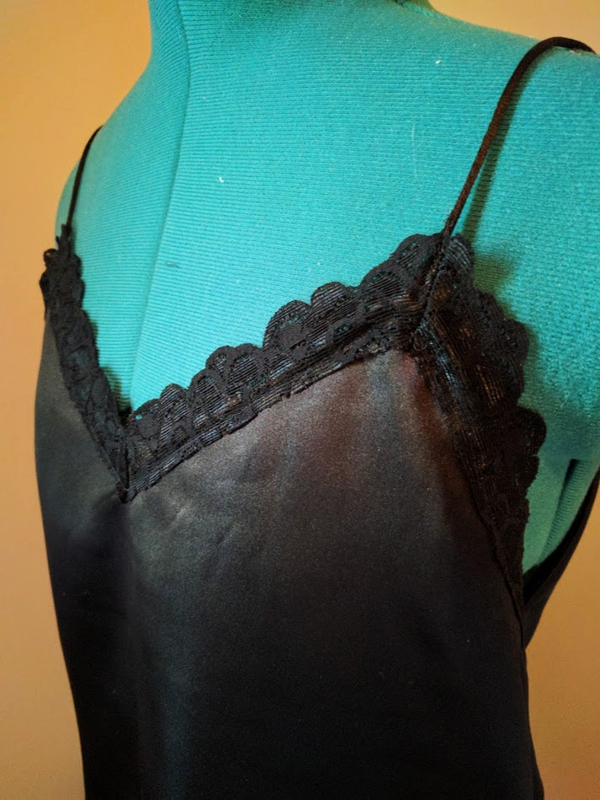 The lace can be added to an existing camisole without needing to deconstruct it at all. 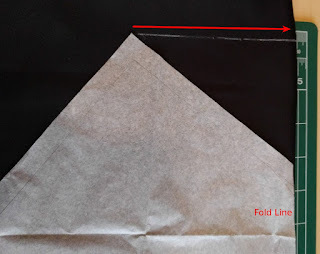 It is sewn to the front edge. 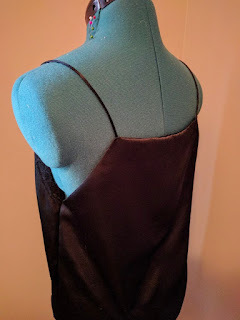 The only semi-difficult part is getting the turns lined up with the pattern of the camisole. The flat back is a small alteration of the pattern. You don't even have to make a new pattern piece. Just draw a straight line from the tip of your existing pattern to the fold of the fabric (Image 2). Adding the lace took a little longer for me to do than was necessary because I harvested my lace from a failed bra project, and it took a long time to deconstruct. 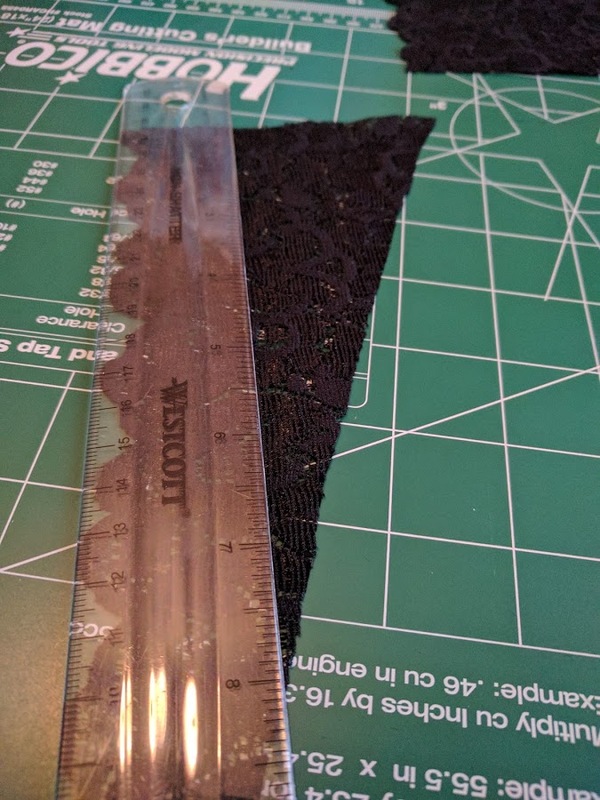 Once you have your lace, however, it is pretty straight forward. 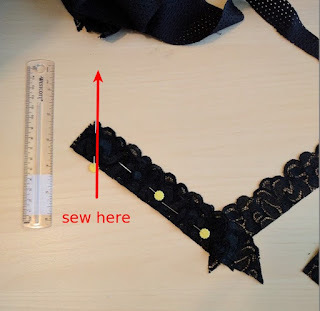 Step 1: Make the same width by lining up your ruler with the top most part of your lace and cutting off anything below the ruler (Image 3). 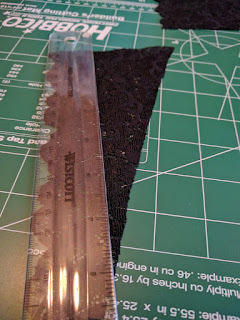 Step 2: Cut lace to the same length of the edges you want to add it to (Image 4). Step 3: Sew lace edges together by laying pieces on top of each other and sewing at a bisecting angle through the tip of the point (Image 5). 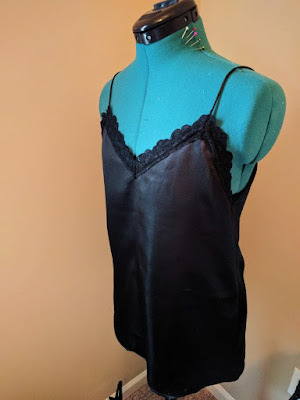 Step 4: Sew lace to the front of your camisole using a straight or zig-zag stich (your preference; I used a straight stitch), and trim as necessary. Use a zig-zag stitch to attach the lace to your straps.